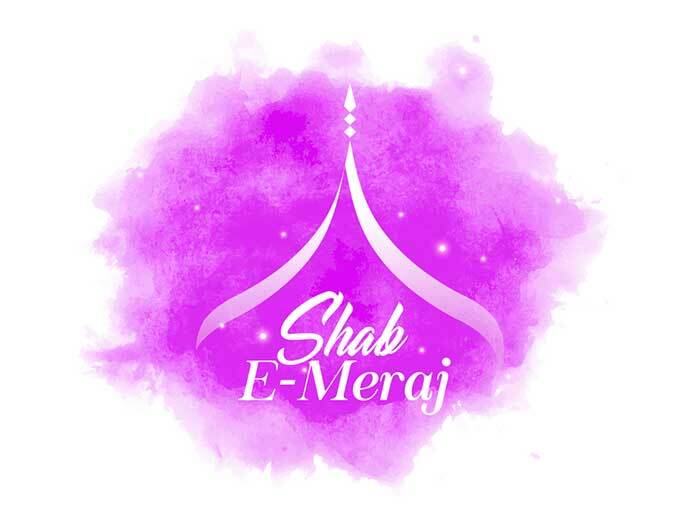 What is Shab e Meraj? 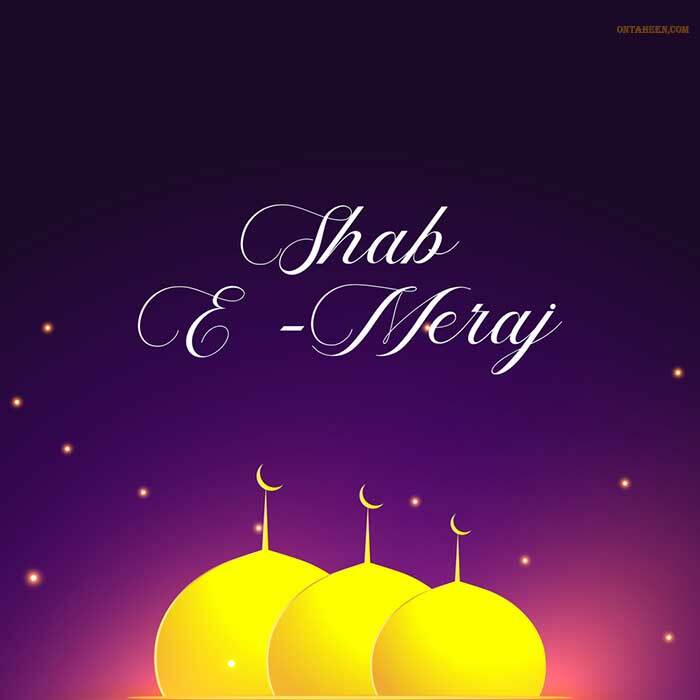 Shab e Meraj is one of the most significant night observed in Islam Religion. It’s the night when the spiritual form our prophet Muhammad PUBH visited Heaven and become close to Allah. 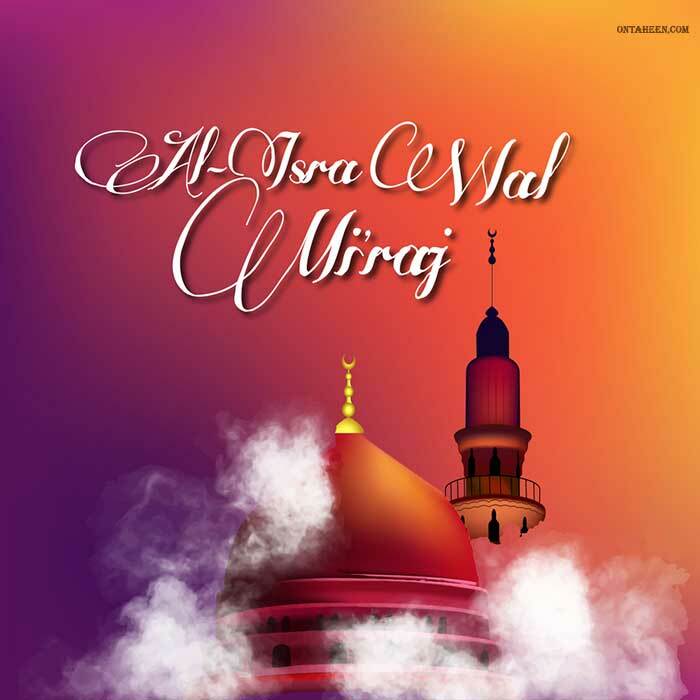 Every year Shab e Meraj observed with full of joy and different kinds of observations all over the world. Because of the holiness of this night many scholars of Islam has stated this night the most prestigious night to perform prayers and rituals. Shab e Meraj is mentioned in the Quran; as well as our prophet himself described the events he was faced on this night which is mentioned in Hadith. The historical event took place on the 27th day of Islamic Month of Rajab. According to Hadith, Angel Gabriel was played the role of guide of this journey of our Prophet. But the most astonishingly he (Gabriel) stated to the prophet that, not even any angel could visit that close to Allah where Allah invited him (Prophet PUBH) to visit. Apart from all these events, on that night our Prophet bring many Ibadah as a gift for his Ummah such as, five times daily prayer, Fasting in the month of Ramadan. As of the observation of this night, Muslims go to mosque for prayer and there Islamic scholars describes the story of this night and also about the miraculous life of Muhammad PUBH. 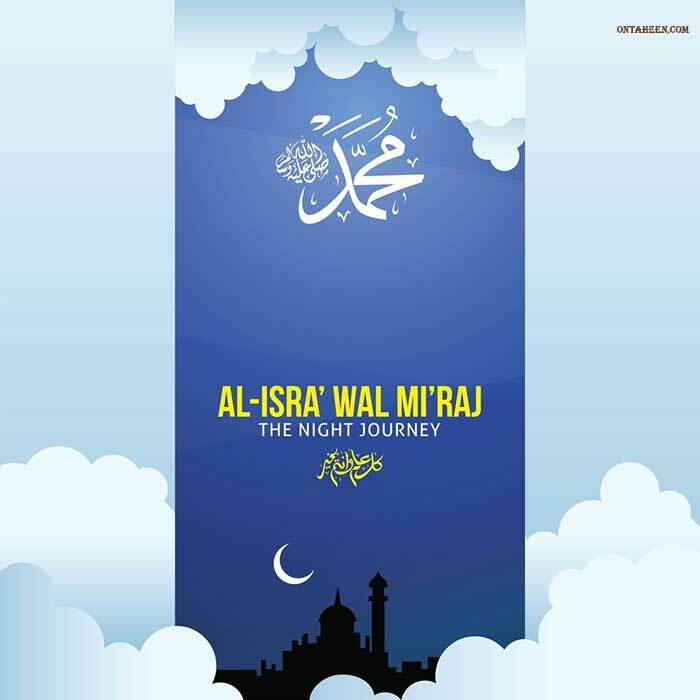 The word Isra is an Arabic word to describe the first part of the journey on the night of Miraj. 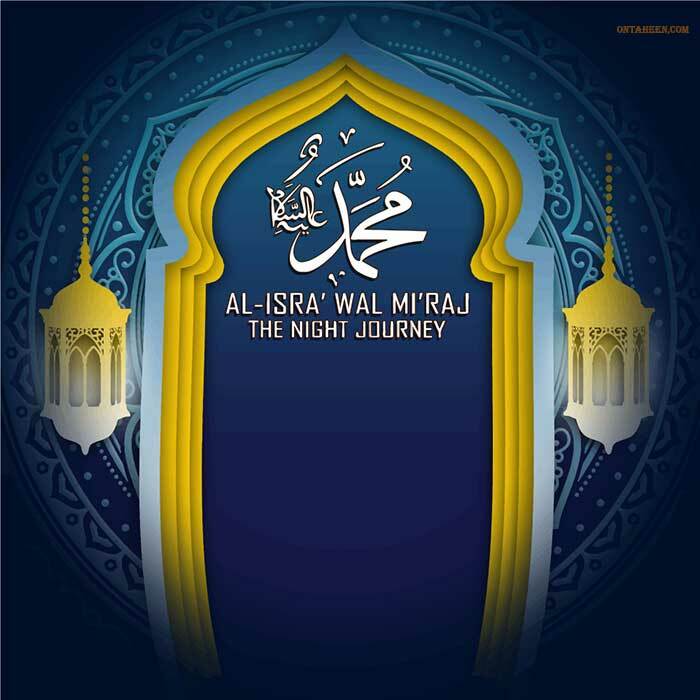 On that night Rasul PUBH was started his journey from Mecca to Jerusalem and went to the famous Mosque name Al-Aqsa, which is mention in Surah Al-Isra in the Quran. From there the main journey of that night was started with angel Gabriel and Boraq (the animal on which the prophet PUBH visited to Jannah). 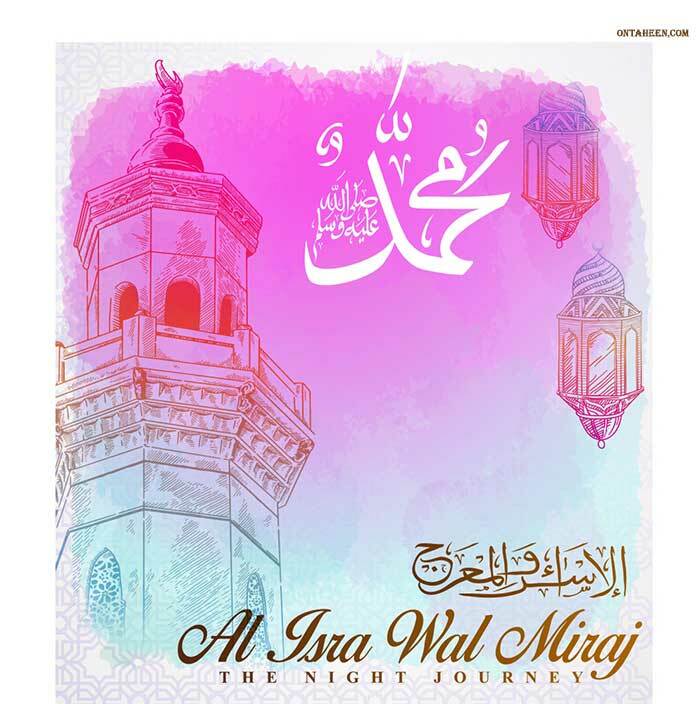 Miraj also is an Arabic word used to describe the journey of the Prophet PUBH from Jerusalem to the Heaven on that night. The meaning of Miraj is Ascension (Spiritual Form of Prophet PUBH). The exact year couldn’t be found but according the research of many Islamic scholars has authenticated that, it was only mentioned in the hadith that the event happened just one year before Hijrah. When is Shab E Meraj Date 2019 ? The fact is described in the Surah Al-Isra in Quran. According to the holy Quran and hadith, the duration of this journey is about 27 years. During this period time is being stopped by the order of Allah (SWT). 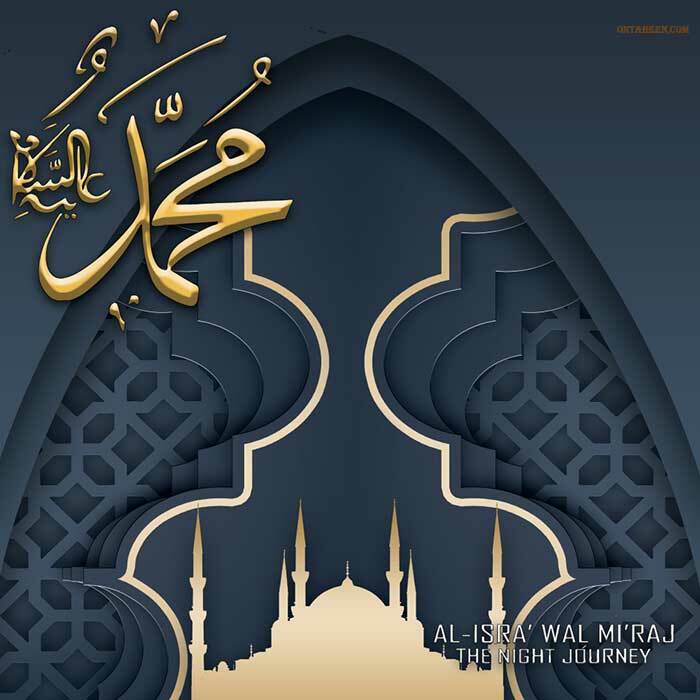 The journey of Miraj is divided into two subdivision. The first one is the journey from Makkah to Jerusalem. 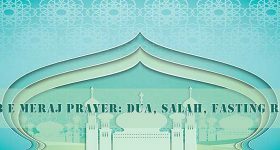 There Prophet Muhammad, Peace be upon him, lead the prayers others prophet which is known as Isra in prayers. The second part of the Journey to the heaven. In different stages of the journey Muhammad (Also Mohammad), Peace be upon him, met with the different prophet Adam (PBUH), Musa etc. Prophet (SM) is accompanied by the angel Gibrail (PBUH). The Burqa was the transportation medium of this journey. After reaching the heaven, Muhammad (SM) talked with the Almighty Allah(SWT) which is beyond ordinary people comprehension. Almighty gave the order to 5 Salat in a day to the Muslim as mandatory on this night. This day is glorious for the Muslim. 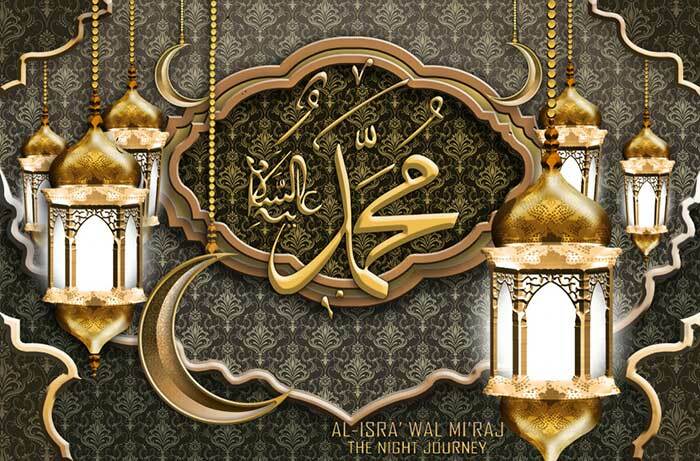 All the journey happened in one night which is known as Shab E Meraj. 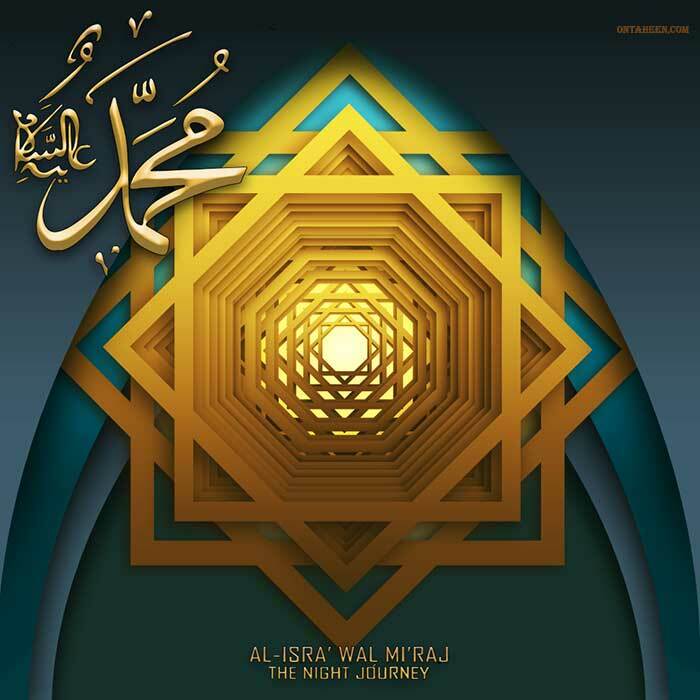 According to the some Islamic Scholar, Meraj Journey was spiritual. 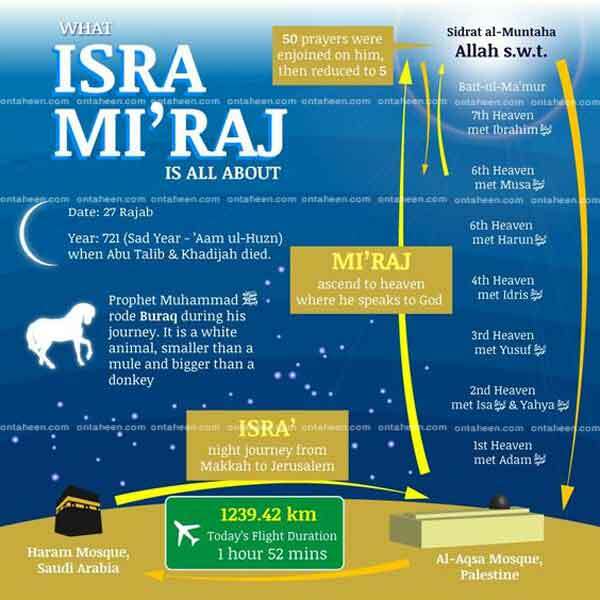 This is the Isra and Miraj story summary In the below picture I have tried to show the details in the image. 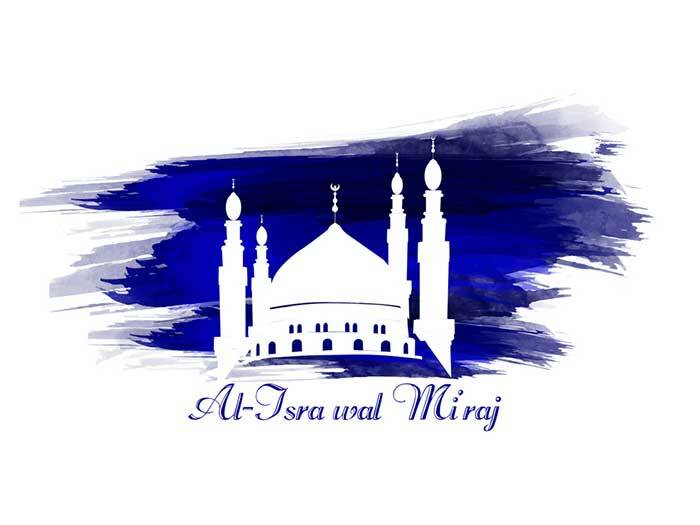 There are some specific rules which are followed by the Muslim during the occasion of Miraj. Here I have described the procedure of prayers. It is mentionable that this prayer is Nafl. Know Full Details Of Shab E Meraj Prayer e.g. how to observe, how to pray, prayer rules. In USA the date is 4th April 2019. 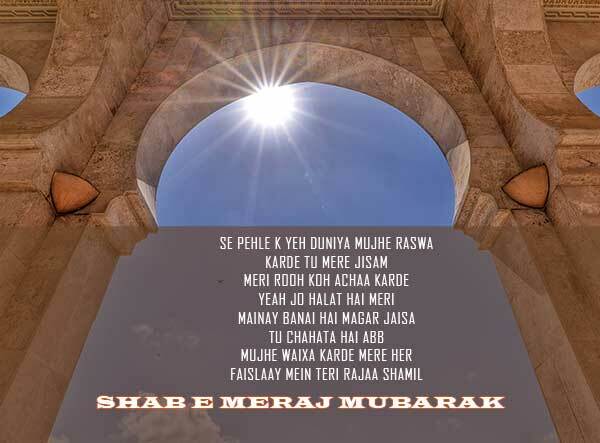 Like Other Muslim countries, Shab E Meraj will be commemorated by the Indian Muslim . Most of the Muslim will pass the whole night by reciting the holy Quran as well as Nafl Salah. They also pray for themselves as well as for the Muslim Ummah. They seek to Almighty prosperity, happiness for their family members. They also make Dua for them. Ziyarat to the graveyard is another option of praying. 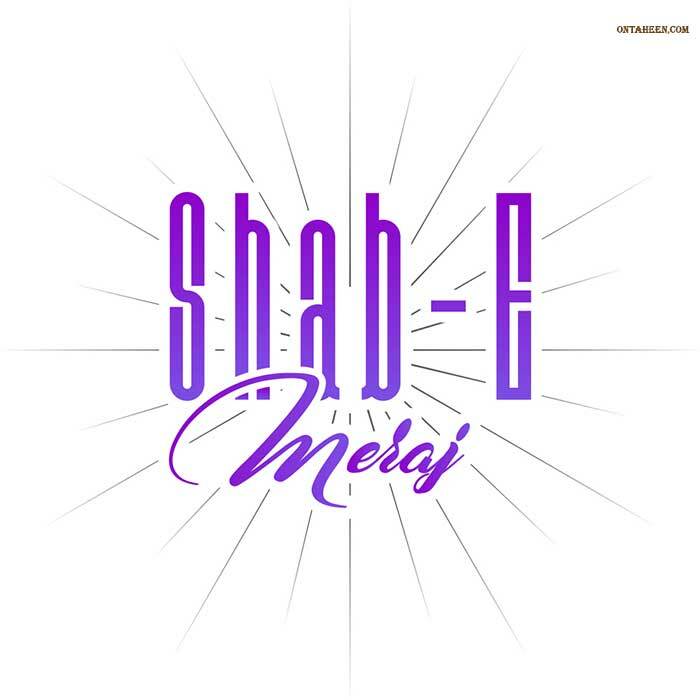 Here you will get a collection of Shab-E-Meraj images, HD wallpapers, and images. On this day people keep fast, make prayers to earn good wills. To make it more prestigious some people like to share pictures or images on their social media accounts. Some people like to keep this type of pictures on the day in their mobile phone. Some also keep wallpaper on their laptop or PC, for laptop or PC they prefer to keep the HD wallpaper. Here you will get so many varieties of these types Shab-E-Meraj picture, images, HD wallpaper. I hope you may like this all. Most of the people get confused about the perfect history of these Islamic days. They also search for the perfect doing ideas on the day. 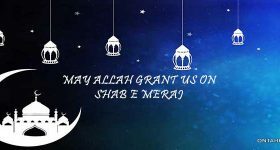 Here in this article I have tried my best to give you the best information about the history, prayers, and facts of Shab-e-Meraj. If you need any more information or ideas you can comment here. We will try our best to provide you the answers as soon as possible.Do you think this post is helpful? If Yes, Spread it by sharing to your Social Account. May Almighty Allah(SWT) bless you. Assalamu alaikum…Can you please provide more details on reading darood sharif?. very nice article. clearly explained with pictures. May Allah (SWT) bless you and your family.